Scott Black is passionate about helping organizations accelerate their revenues and realize higher margins through dynamic marketing communications programs. He is a versatile professional that believes strongly in a multi-media approach. Though president of TPRM, Scott is no desk jockey; he actively manages client campaigns himself also. 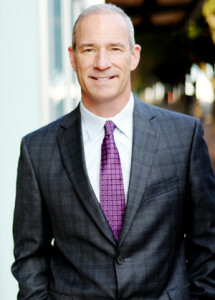 He was an early proponent of social networking (http://twitter.com/ScottBlackTPRM) and digital media to compliment traditional marketing and PR strategies. Media remains at the heart of any PR campaign and Scott has worked with impressive national print (Wall Street Journal, Fortune, Forbes, Robb Report, USA Today, New York Times, etc. ), broadcast (NBC Nightly News, CNN, ABC News, CBS, SPEED) and Internet (CNNMoney, Jalopnik, Edmunds) media outlets. Scott also has extensive experience working with regional outlets (LA Times, The Dallas Morning News, KTVT, Dallas Business Journal, D CEO) and trade outlets (Motor Trend, Road & Track, Oil & Gas Journal, Accounting Today, Fast Company). Scott is an unabashed auto enthusiast who loves fast cars, airplanes and motorcycles. From driving in sanctioned races to attending Concours events, his passion for speed can be found in the dynamic pace and client roster at TPRM. Some of his quirky credentials include being a factory team driver for Shelby Automobiles, helping the show “Jeopardy” with a question, being an official chili cook-off judge and earning a black belt in Karate. He also is a public speaker and an active freelance writer. His articles have appeared in the Robb Report, American Driver, D CEO, Blue Sky Journal, On Magazine, Dallas Business Journal and other outlets.